Karnataka High Court has reportedly disposed of the Petition by Flipkart after Japanese camera maker- Nikon withdrew the names of Flipkart, Snapdeal and other e-commerce portals from the caution notice on its website. This notice had cautioned customers to check warranty entitlements, before buying products from the online retailers. The Court had earlier suggested Nikon to withdraw the names of the online portals from the notice on its website, so as to avoid lengthened legal battle. The camera maker will now replace it with a general caution notice without any reference to any particular company. 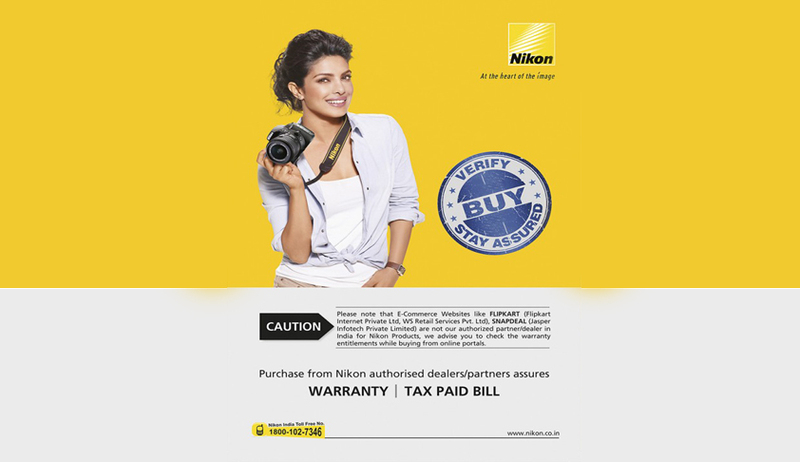 The suit was filed in the LXIII Additional City Civil and Sessions Court Bengaluru seeking a permanent injunction, restraining Nikon from publishing any material that is derogatory, defamatory and untrue statements and would have an adverse influence to their business. After the refusal of the trial court to grant an ex-parte injunction, an appeal was filed in the Karnataka high court by Flipkart on August 3.